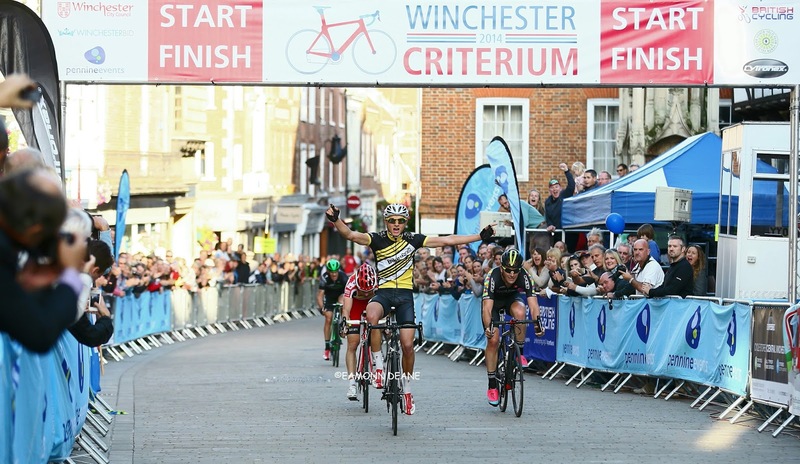 The fourth Winchester Criterium will be held on Sunday 5th June 2016. Supported by Hargroves Cycles, the 2016 edition will also feature the South Region Circuit Championships. 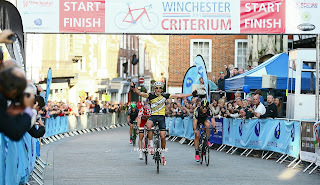 As in previous years the Winchester Criterium will include a full programme of supporting races and boasts a generous prize fund. In addition to the Criterium races, there will be a Family Ride on the circuit from 10am to 11am and a range of activities at the CycleFest on the Broadway until 4pm. Full entry details can be found on the British Cycling website, also visit the Winchester Criterium Website for news and regular updates.The Criterium route is a 1km technical circuit around the closed roads in the heart of the City Centre, with the start/finish line at the top of the High Street. After a sharp left onto St Thomas’ St, riders will twist and turn downhill, past the iconic Winchester Cathedral and the Guildhall, before racing back up the High Street to the finish line.